“Linden Endowment for the Arts has granted RJ Kikuchiyo a 3-month residency in LEA2, where an “Open Studio” retrospective of work from 2006-2016 will be open to the public. 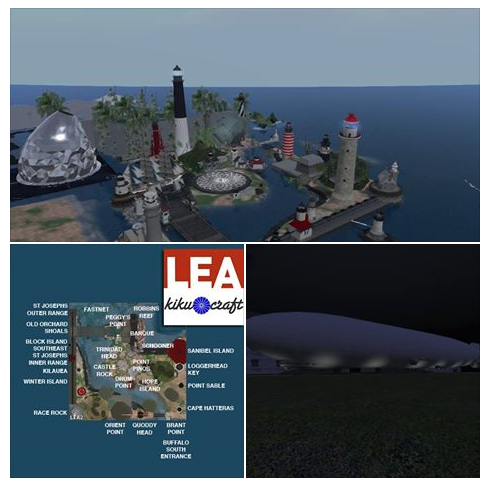 Linden Labs™, the makers of Second Life™, have recently awarded RJ Kikuchiyo a sim for 3 months as part of the Linden Endowment for the Arts program. I’ll be using this space as an ‘open studio’ kind of environment, accessing my inventory to exhibit virtual model environments from previous projects. I’m still sorting out what to do with the ground level, arranging a virtual city of lighthouses as a starting point. More to come and updates soon!